Harness the power of incredible special moves with the Joy-Con’s HD rumble feature. Feel the Hadoken shoot across the screen – and across the palm of your hand – or unleash a Shoryuken as you feel it spin up inside the Joy-Con. Customise your favourite Street Fighter characters and fight in style with the in-game Color Editor! Create surprising new looks for iconic fighters and stand out from the crowd with your own signature colour combinations. Browse through 30 years of Street Fighter history with a stunning digital art book, featuring more than 1,400 high-resolution images from the series’ illustrious past. With over 250 pages packed full of incredible illustrations from the out-of-print Street Fighter Artworks: Supremacy collection, it’s essential viewing for any Street Fighter fan. 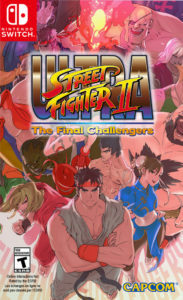 ULTRA STREET FIGHTER II: The Final Challengers on Nintendo Switch makes it easy to play with others. With a number of co-operative and competitive modes, as well as seamless drop-in/drop-out functionality, it’s the perfect pick-up-and-play fighter. In this single-player mode, travel around the globe and defeat legendary characters in succession to emerge victorious. It’s the mode that made Street Fighter II a worldwide phenomenon. Grab a friend and go head-to-head in classic Street Fighter action. Choose your favourite character, show off your skills and vie for supremacy (and the bragging rights!). Put your differences aside and team up against the CPU for co-operative clashes in the all-new Buddy Battle mode. Come together and throw down new two-player combos as you take on the enemy from both sides. Struggling to find a sparring partner? Hop online* to fight against friends and foes the world over in Ranked or Casual matches. Show your prowess with online leaderboards* that track both your overall Player Points and character-specific Battle Points. Use the motion-sensing capabilities of the Joy-Con to fight against the Shadaloo army in an all-new first-person action mode. Feel what it’s like to be Ryu as you pull off signature moves like Hadokens and Shoryukens. Sharpen your skills or simply refresh your memory in the Training mode. Practise special combos to your heart’s content, ingrain those button sequences into your muscle memory and reach your peak fighting power. Forge new rivalries with Fight Requests! If you enable Fight Requests in the menu, nearby and online* players can challenge you to battle when you’re playing in Arcade mode – should you accept, they’ll jump seamlessly into your game, just like they joined you at the arcade cabinet! Relive your greatest (and most gruelling) moments by saving your replays and watching them back at your leisure. 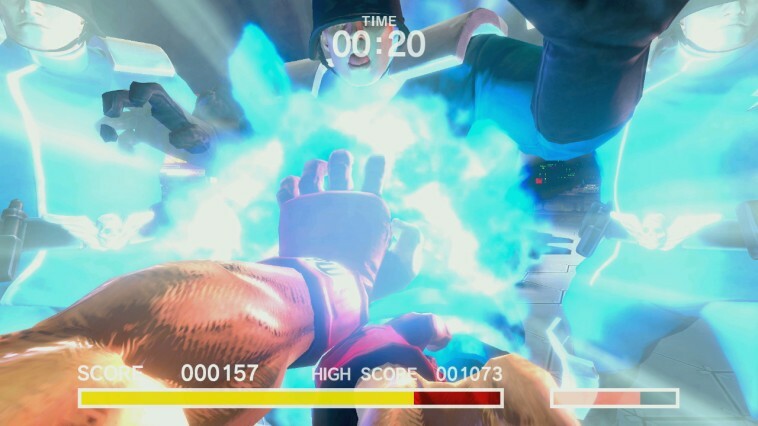 You can skip through rounds during playback, too, so you can find that super combo finisher more easily! 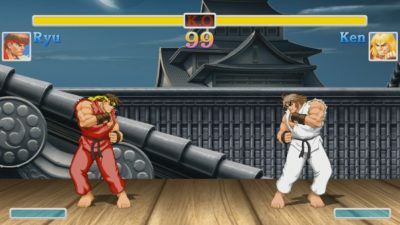 How do you feel about the new gameplay modes in Ultra Street Fighter II: The Final Challengers? Will you be picking the videogame up at launch? Let us know in the comments below! I’ll be buying this one day one. I don’t care if it’s basically the same game I’ve bought a dozen times already!